You’d think that since we only live two hours apart, our families would get together more than twice a year. We try. We really do but it’s hard when you’ve got teenagers, aging parents you’re caring for and an ever-growing family (cue the grandchildren!). 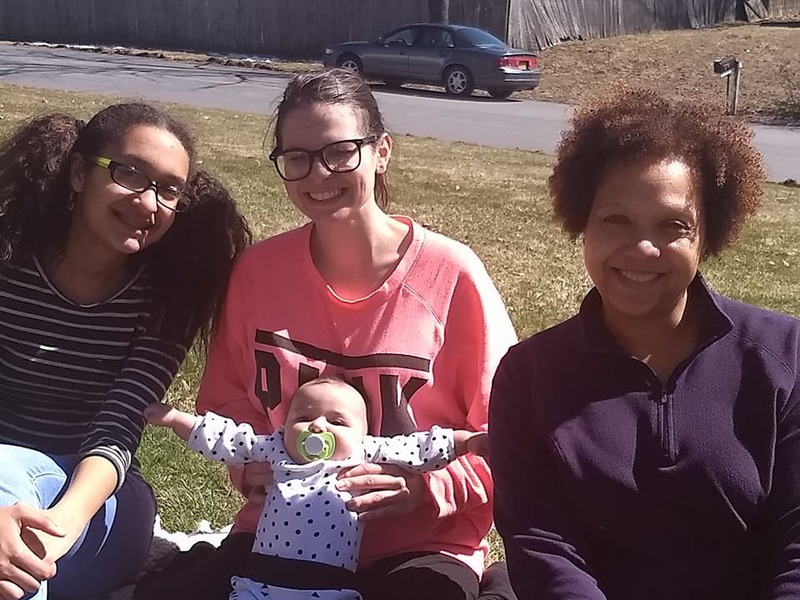 So I was super happy that my sister and her crew (husband, twin 15-year-olds, grown sons and THEIR kids aged 4 months and two) could make it up for Easter weekend. The crew showed up on Friday evening and we had a fantastic time eating, drinking Old Fashioneds and staying up wayyyyy too late. There’s nothing like hanging out around the table just enjoying each other’s company. 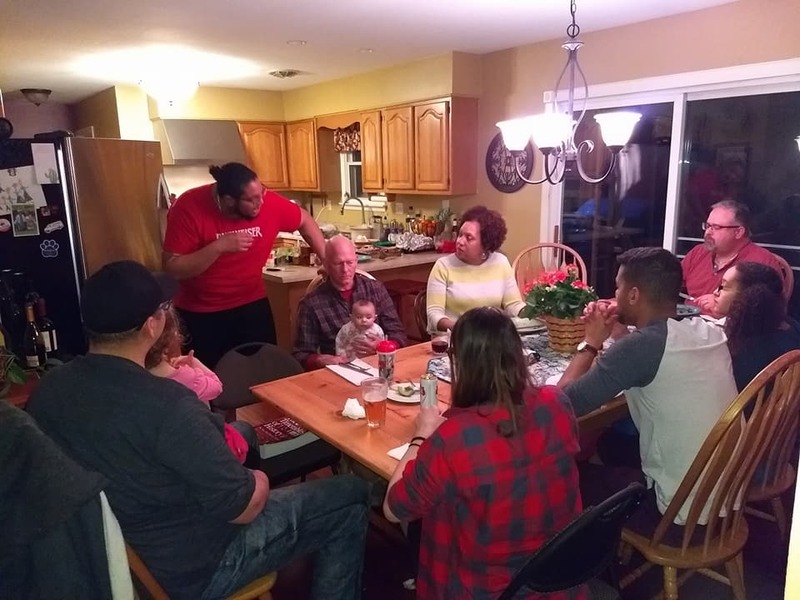 Everyone had to head out on Sunday so we had our big meal on Saturday. Saturday was beautiful. The last day in March was mild and sunny. We spent most of the day outside. My niece Chloe, Mair (my nephews’s girlfriend) holding my great niece Rosalie and me. Spiral Ham – 9 lbs. Everything was fantastic but the lamb was the star of the dinner. I poked holes in the lamb and added slivers of garlic then marinated in for two days in plain Greek yogurt, lemon juice and rosemary. The yogurt seems to take away the gamey taste that lamb can sometimes have. So even non-lamb lovers will like this way of preparing it. Anyhoo with ham AND lamb, there were definitely leftovers. 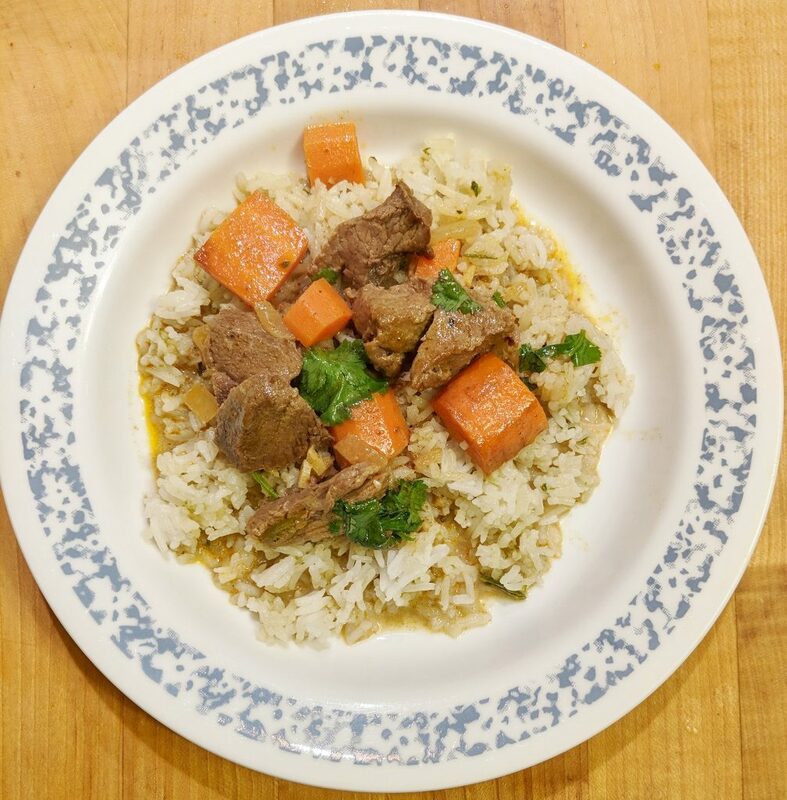 My favorite leftover lamb recipe is lamb curry. Here’s how I made it. In a large skillet heat oil, then add onion, garlic, ginger, carrots and jalapeno. Cook over medium heat until the onions are translucent. 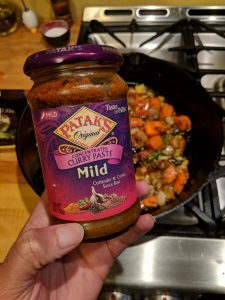 Add curry paste. Continue cooking and stirring for another five minutes. Add the lamb. Stir. Next add the broth and coconut milk. (See my note below about this.) Simmer for at least 30 minutes. Add salt and pepper to taste. 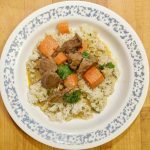 Serve with rice and top with cilantro. This is my secret weapon. I keep a jar of it in the fridge. It’s great in soups, stews and on vegetables. I added all the broth. Next time I’ll add half, and half the coconut milk and keep adding until I have just the right amount of liquid. NOTE: When I made mine it was more soupy than I wanted so I suggest adding half the chicken broth and coconut milk until it's the right amount of liquid. If you want more liquid, you can always thicken it up by adding corn starch. To do that take a 1/4 cup of liquid and and 2 teaspoons of corn starch. Slowly stir into the skillet. Add more broth and coconut milk until it's the thickness you want. I’ve also made this using yogurt in place of coconut milk. When I do that I use broth and at the very end, I remove the curry from the heat and stir in yogurt. I’ve made this many times. This recipe is really versatile. 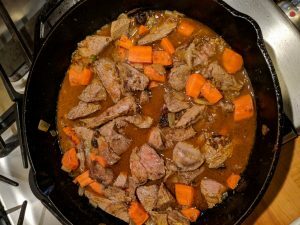 You can even add potatoes or cauliflower to switch things up a bit.Would love to hear your favorite recipes using leftover lamb! Share yours below.